​FR 279 US 1899 SILVER CERTIFICATE PCGS 64PPQ! “CHIEF RUNNING ANTELOPE"
This Silver Certificate, at over 118 Years old, has 5 STAR Eye Appeal! 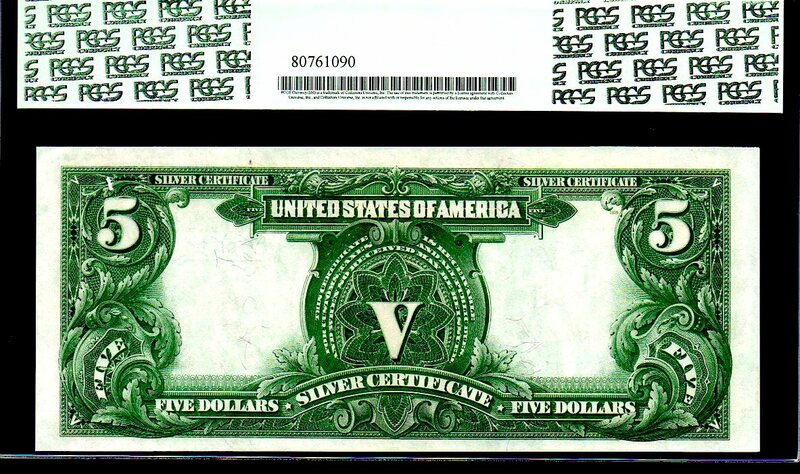 In fact, it’s from a “CUT SHEET of 4 notes” that I originally acquired about 12 years ago! 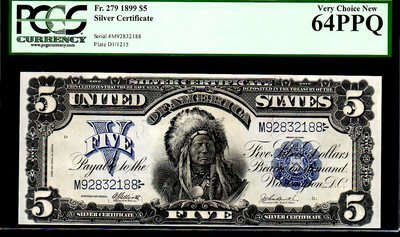 We had (for a very short period) ALL 4 pieces available with consecutive serial #’s of course, but this was one of the nicest! The Paper is of the Bright White variety, which really contrasts nicely with the dark black inks, really pops! The corners are razor sharp with gorgeous original paper! 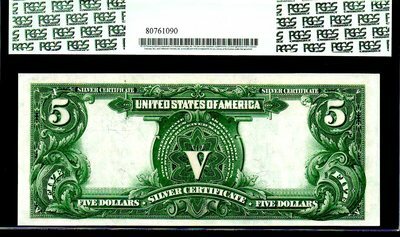 Definitely a “Scarcer Friedberg #” This note type is highly sought after and will certainly please even the most discriminate of collectors!